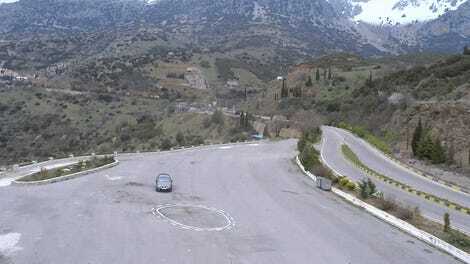 Parking is a tedious task, and frankly most humans just aren’t very good at it. Thankfully, Daimler and Bosch are working together to take this task out of humanity’s very flawed hands. The two companies debuted a service on Monday that takes a stab at what such a system might look like, calling it Automated Valet Parking. Parking assist functions aren’t entirely new; Audi had a demonstration as far back as 2013, while Tesla’s Autopilot function has a self-park feature that can be controlled through a smartphone app. But Daimler and Bosch took things a step further, announcing that cars at the Mercedes-Benz Museum in Stuttgart, Germany, can be hailed and sent to a parking space with a command from a smartphone. This is possible after Bosch, the world’s largest auto supplier, and Daimler teamed up to retrofit the garage with technology to help guide Mercedes-Benz cars equipped with semi-autonomous features to a spot. The companies say the pilot program is the first infrastructure-supported solution for autonomous parking in the world. A video of the service—which you can see below—shows the way it would work: First, drivers can reserve a car through the smartphone app. They then pick it up in a designated area of the garage. When they return, the driver hits park, and, with the technology installed throughout the parking garge, the car is guided back to an assigned parking space. Surely, retrofitting garages across the world would be a costly endeavor, something that makes this sort of thing more wishful thinking than it might be practical. But parking’s one of the most obvious car habits that is expected to be changed through automation; seeing this demonstration is a way to show how it could be done. 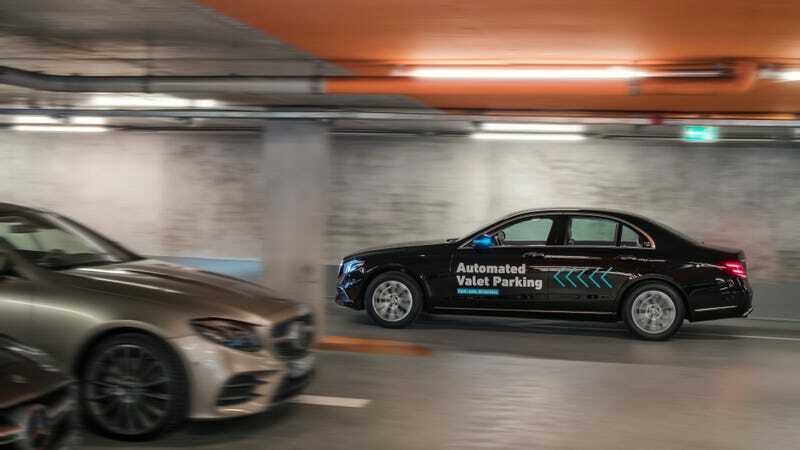 It’s also unclear whether the system will be confined to just Daimler and Mercedes cars, but the companies say the pilot will allow them to gather crucial insight into consumers’ handling of automated valet parking. Daimler and Bosch also estimate that up to 20 percent more vehicles may be able to squeeze into a parking garage as a result of the tech introduced in the pilot. If that brings an end to slow, winding drives to the roof of a parking garage, that alone makes this experiment worth watching.